The Dark Below is a place inhabited by demons, devils and infernal creatures, from where some sorcerers take their power directly and sometimes have a patron beast to foster their magic. The demons from the Dark Below apparently exist apart from the Burning Legion, who reside in the Twisting Nether. The Dark Below may be another description for the "Twisting Nether", in which case these are demons of a separate faction that live within the same plane of existence. This would explain how player warlocks are able to summon demons that do not serve the Legion. This implies a region that is underneath the crust of Azeroth, and not the twisting Nether in outerspace up in the sky. In early conceptions, hell is percieved to be underneath and not up in the sky. In mid-August 2013, MMO Champion reported that Blizzard trademarked the name "The Dark Below" which could be the name of a new expansion (MMO Champion has a pretty good track record on these things). However, they appear to have retracted their claim and now think it could be a hoax. There is evidence that it could be an expansion where the Burning Legion returns. There are many rumors that the Burning Legion is returning, including the fact that in the Warcraft RPG Book (which is completely separate from World of Warcraft and yet still relates to the game and lore somehow), there is a section that calls Fel Energy's "home" and uninhabited demons the Dark Below. There is also evidence to support that this could be an aquatic expansion, as Ozumat's title is Fiend of The Dark Below. 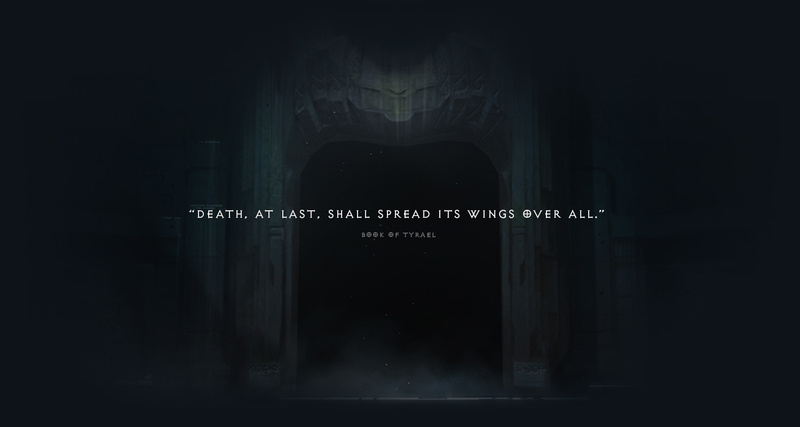 Likely eliminating Diablo 3 from the running for using the name "The Dark Below", Blizzard launched a minimalist teaser site for Diablo 3 called "Reaper of Souls", and the background image is called d3x_teaser-en-us.jpg. At BlizzCon 2013 representatives from Blizzard confirmed that The Dark Below as any sort of Blizzard asset was a hoax. They had not issued the trademark filing. ^ Boubouille 2013-08-13. Blizzard Trademarks "The Dark Below" - WoW or D3 Expansion?. MMO Champion. ^ Lucy O'Brien 2013-08-14. Reaper of Souls Teased as First Diablo III Expansion. IGN.com.